Since the first of Union Bank’s five predecessors opened for business in 1864, the bank’s remarkable history has been steeped in California lore and inextricably tied to the state’s history and growth in three centuries. MUFG Union Bank, N.A., a member of Mitsubishi UFJ Financial Group (MUFG), one of the world’s leading financial groups, will be honored and recognized for its commitment to being a constructive part of society, helping people and communities build something of lasting value. In 2017, MUFG Union Bank’s charitable investment in the community exceeded $16.8 million. These contributions helped finance the efforts of non-profit organizations within its marketplace. The bank has been a strong supporter of the Japan America Society since 1952. U.S.-Japan Council is celebrating its 10th Anniversary. It is a nonprofit educational organization that will be honored and recognized for its decade of strengthening U.S.-Japan relations. U.S.-Japan Council brings together diverse leadership, engages stakeholders and explores issues that benefit communities, businesses and government entities on both sides of the Pacific Ocean. It is a Japanese American-led organization, fully dedicated to strengthening ties between the United States and Japan in a global context. Since its founding, U.S.-Japan Council has been a strong partner of the Japan America Society. Please park at the general parking area or follow signs for hotel and restaurant guests parking. 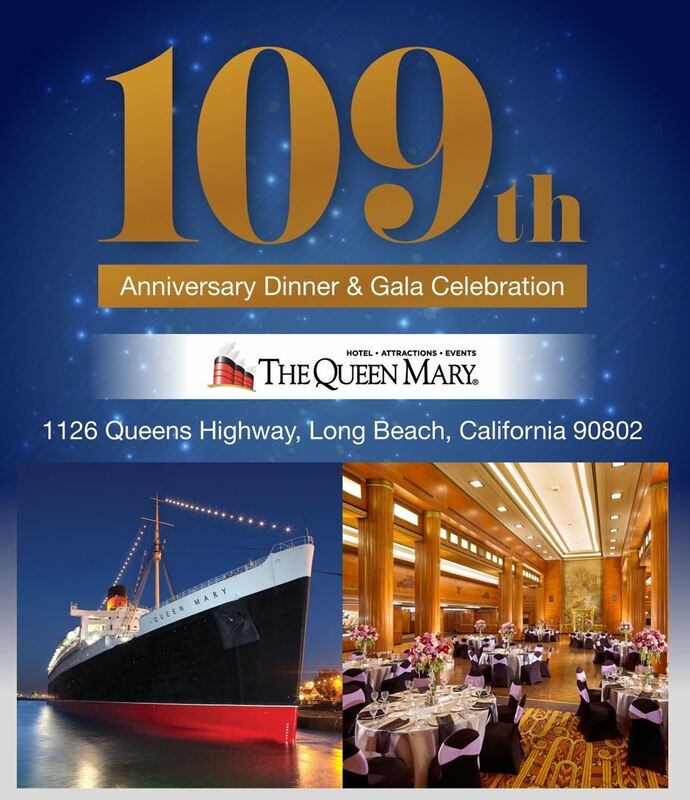 · Registration will be located inside The Queen Mary on the 2nd floor. · Please take the elevators to the 2nd floor from the main hotel entrance (located just below The Queen Mary sign by the ship). · Cross the gangway to The Queen Mary. · Please check-in at registration by your last name in front of the Windsor Salon. Please submit your pre-bid by 5pm on Friday, May 11. Pre-Bidding is open also to those who cannot attend the Anniversary Dinner. If you would like to make a pre-bid, please email Kay Amano at amano@jas-socal.org with your bid for the desired prize item! Highest pre-bid will become the opening bid of the auction on May 16th at the JASSC’s 109th Anniversary Dinner & Gala Celebration. Johanna Yukiko Haneda started her career as a professional singer in 1984. She worked with an all-stars creative team, such as DAVID FOSTER, Joel Dorn, Duet with PAUL ANKA and more. Her Elegantly polished voice breathes through the range of music all from diverse backgrounds. Yukiko relocated to Los Angeles in 2011, and she is currently exploring her talent in film, television and commercials. 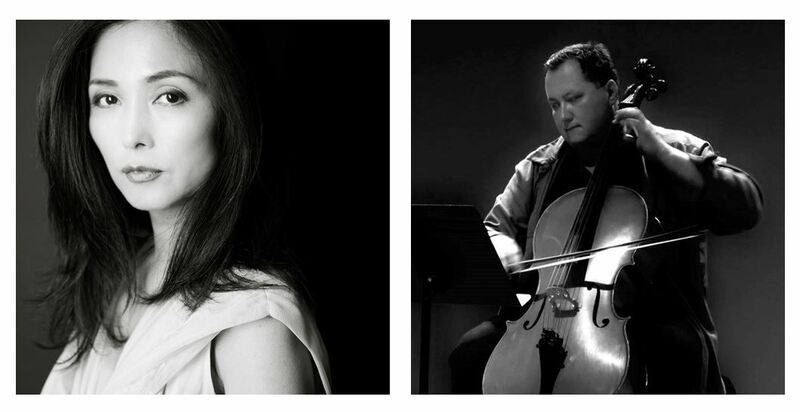 Maksim Velichkin is an accomplished cellist, pianist, and harpsichordist who has been active as a soloist, chamber musician, and orchestra artist. As an improviser and interpreter of contemporary and popular music, Maksim’s performance and recording career includes credits with noted artists Stevie Wonder, Chick Corea, Billy Childs, Burt Bacharach, Bobby McFerrin, Dwight Trible, Bitter:Sweet, Chris Botti, Bob James, Josh Groban, Red Elvises, Bernadette Peters, Natalie Cole, Alan Silvestri, Richard Thompson and many others. Participate by donating prizes for the silent auction! Please consider donating gift-certificates, entertainment, sports or travel tickets, gift baskets, memorabilia, wine, sake or spirits for our lively silent auction. If you would like to donate products or services, please contact Kay Amano at amano@jas-socal.org.